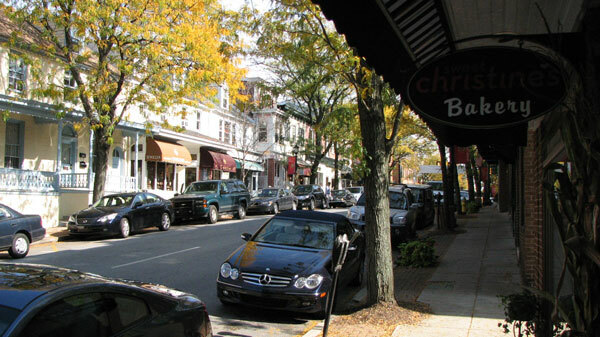 Kennett Square is an historic Chester County town with an eclectic collection of shops offering original and reproduction art, antiques, clothing, books, unusual gifts, jewelry and more. Stroll down State Street and window shop and enjoy a meal in this delightful small town. Dining options includes an historic inn, a tavern, Irish pub, casual Italian, gourmet BYOB, homestyle grill and coffee shops. Designer and custom jewelry, platinum, gold, specialty items adorned with diamonds, pearls or gemstones and a wide variety of superior watches and giftware. Antiques, estate finds and treasured relics in a remodeled 1934 brick garage. Relax, renew and rejuvenate with our unbelievable array of personal grooming products and lifestyle products. Thousands of carefully selected used books. All subjects,all price ranges. Hundreds of old maps and prints. Mondays - Saturday 11am - 5pm. Quality antiques and fine pre-owned furniture since 1976. Wednesdays - Saturday 10am - 5pm. Sun. 12 - 5. Quality New and Pre-Owned Children's Clothing, Books and Toys. Tuesdays - Fridays 9:30am - 5pm. Sat. 10 - 3.